This is one of those reviews that I’ve been meaning to write since forever, and it’s really late to the party. Still, better late than never, eh? And, really, I suppose this is a bit of a landmark, my first official review of a video game. I loved the first Starcraft game, and its expansion, Brood Wars. Was I stoked at the announcement of the sequel? Oh yes. Yes, I definitely was. If you think I get excited about Marvel, you have no idea how excited I was for Starcraft 2. Perhaps that, the fact that the sequel had such gigantic shoes to fill, was part of it, but either way… I found it a bit of a let-down. Not, like, terrible, really, but a significant step down from its predecessor. Easily the biggest disappointment for me, personally, was the story. I don’t know who wrote the stories for each respective game, but Blizzard really should have used the same people for both if they could have. I’ve heard that renowned author Dave Wolverton wrote the first one, and a marketing department wrote great swathes of the second. I don’t know if that’s entirely true, but it would certainly explain things if they used a professional storyteller for Starcraft, and then, for Starcraft 2, a team of advertisers whose job centers entirely around flash instead of substance. A huge example: the narrative structure. Or, rather, the lack of such. Starcraft was so fantastic because of the story it told, and that story may have taken an amazing number of unpredictable twists and turns, but it was structured and direct. It had, both overall and in each campaign, a beginning, a middle, and an end, and going from mission to mission felt like the natural, character-driven process of events. The plot developed within every mission, from the introduction setting it up to the very end, with the benefit of cinematic sequences so we could watch some fantastic moments. All of that went out the window in Starcraft 2. Missions became about the conflict, not the story, focusing on the exact hurdles set up to be cleared and the rewards for doing such. There wasn’t a clear order of events in mind, as demonstrated by how we could choose which mission to do next, or which path to take in a fork, which may have been neat but had virtually no long-term significance whatsoever. 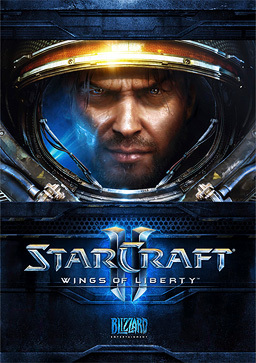 Instead of a rich, compelling plot, we got simplistic goals for each campaign: save Kerrigan in Wings of Liberty, kill Mengsk in Heart of the Swarm, and kill Amon in Legacy of the Void. Speaking of which, it was a sour thing to split up the campaigns like that, especially when so little ground was covered. Even when we were actually going through some real plot developments, it was all in the cinematics instead of the missions. And on the subject of the missions, those, too, were a step down from the original. Where Starcraft had a variety of missions with a variety of goals to achieve, and we were free to do so however we liked with what resources we had available, Starcraft 2 used one or two or maybe three cookie cutters in setting up each and every mission. Either pass through the obstacle course, collecting allies as you go, or hurry up really quick and collect everything and build everything and fight everything and collect all the bonus things and beware the natural hazard things! I’m not sure what wore me down more, the monotony of just doing exactly the same thing over and over and over again, or how constrained I felt having to do things someone else’s way. In fairness, which I do strive for, I can still appreciate a few things about Starcraft 2. I like how they were creative with all the new toys, the units and buildings and developments we could invest in. In the Terran campaign, we could develop buildings and hire mercenaries, which were pretty useful. In the Zerg campaign, we could choose between evolutions. In the Protoss campaign, we could choose ways for the ships in orbit to support our units on the map. And the variety of units and how they can be used is generally impressive. I also like how they developed the races and factions. 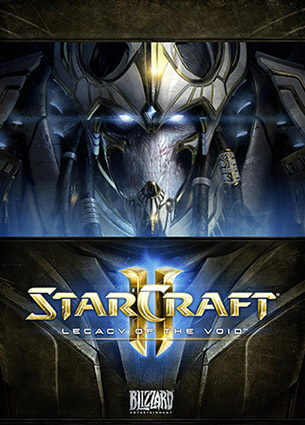 The Terrans had their unfolding webs of intrigue, the Zerg had their hives and the introduction of the Primal Zerg with their Pack Leaders, and the Protoss introduced entirely new and different factions of their race. That last easily felt the most forced and retconned to me, and I had actually been looking forward to meeting the characters of Admiral Urun and Mohandar, which were teased in Wings of Liberty but never showed up again, speaking further of the terrible development of the story… but, still, I could appreciate the unexpected diversity, and thus the importance and achievement of uniting these people against their common enemy. I also appreciated the characters, new and old, including the surprising return of more than one beloved character from the original Starcraft in a new form. Whatever flaws there are in the game and the gameplay, I still cared about the characters, and so I cared about their fates. I teared up just a little when Raynor finally saved Kerrigan. 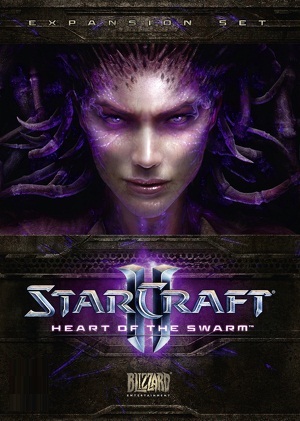 I cheered when Kerrigan got her payback on Mengsk, and when Alexei got much the same on a certain shape-shifter. It was a tense, gripping moment when Raynor came at odds with his former friend, Tychus. And when Zeratul willingly met his fate to preserve the hope of his people… well, that made for quite the emotional impact. There are so many scenes that just tug at our hearts. Which actually makes me all the more frustrated with the choppy storytelling! They did successfully bring everyone together again for an epic and cosmic conclusion, they ended the story, but that leaves every loose thread still hanging, and what can they possibly do to keep their audience interested now? I understand they’re using Nova, and remastering the original Starcraft, both of which are good ideas, but that’s only going to take them so far, ya know? I mean, that’s the pitfall of MMORPGs: they need to keep producing and building on everything that’s already come before. Which may be why they went the route of more flash than substance, but it’s still disappointing. So, basically… there are pros, and there are cons. Starcraft 2 suffers majorly from a poor approach to storytelling, and the campaign missions leave a great deal to be desired, but it delivers shiny toys, dramatic moments, and lovable characters. There’s a reason fans still like it, no matter their complaints. I include myself in that. This entry was posted in Games, Tuesday Review and tagged Blizzard Entertainment, Starcraft, Starcraft 2. Bookmark the permalink.